I.T.S. Pest & Wildlife Control has become a local pest control favorite in Middlesex County! I.T.S. offers 'Green' environmentally friendly solutions for all of your pest control needs. As our way of saying thank you, we'll give you best deals! Save Money! Ask about our specials! 24/7 Emergency Service • Free Estimates! I.T.S. 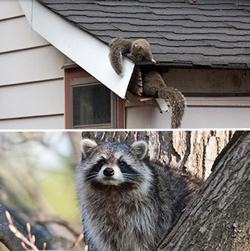 Pest & Wildlife Control located in Sherborn and Ware, MA offers professional and humane wildlife removal as well as pest control services for our customers throughout Massachusetts. I.T.S. Pest & Problem Wildlife Control is licensed and insured in the state of Massachusetts and considers your 100% satisfaction our top priority. For professional services you can count on, call us today at 617-640-4202 and find out what we can do for you. “After detecting some bug activity in my basement, I contacted 2 major companies that told me that I have post powder beetles and it needed to be treated soon. After hearing their huge estimates, I decided to read some of their reviews, that scared me even more than the post powder beetles. Such horrible reviews that I would pay not to have them in my house. So I decided to keep up my research until I found I.T.S. Pest & Wild Life Control. They not only have the best price, but also they are very professional with strong work ethics. Yes, I finally found 'the guy', that can take care of the bugs, spiders and ants when spring comes, for a great price with work guaranty.